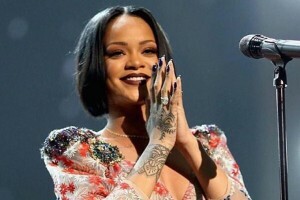 NEW YORK – Fresh from landing eight nominations for the 2017 Grammy Awards, Barbados’ superstar Rihanna has landed nine nods in the fourth annual iHeart Radio Music Awards to be held at the Forum in Los Angeles on March 5. The “Work” girl is nominated as a solo artist for Female Artist of the Year; R&B Song of the Year (“Needed Me”), and R&B Artist of the Year. Drake, who is rumoured to be dating older woman Jennifer Lopez, leads the pack with 12 nominations including Male Artist of the Year, while electronic duo The Chainsmokers has 11 nominations including Song of the Year for “Closer” with Halsey. While Rihanna was not nominated for Song of the Year, Jamaica’s Sean Paul stood up for the Caribbean in this category with the smash hit Sia collaboration “Cheap Thrills.” The pair also picked up nods in the Best Collaboration and Best Lyrics categories for the song. Other artists who received multiple nominations included Beyonce, twenty one pilots, Justin Bieber, and Ariana Grande. In addition to the nominees, Bruno Mars will take the Forum stage as part of a string of live performances, first-time duets and collaborations, celebrity guest appearances and live award presentations. The 2017 iHeartRadio Music Awards promises to celebrate fans by giving them access to their favourite artists and an up-close-and-personal view of the event. Fan voting will determine this year’s Best Fan Army, Best Lyrics, Best Collaboration, Best Cover Song, Best Song from a Movie and the first-ever Best Music Video, Social Star Award and Best Underground Alternative Band awards. Nominees were determined by iHeartMedia, Inc. based on industry data from Mediabase and BigChampagne, fan feedback and guidance from experts, including iHeartRadio programmers from multiple radio formats. The show will be televised live on TNT, TBS, and truTV, and simulcast on iHeartMedia stations, and on iHeartRadio, the digital music and live streaming radio service.